A monthly newsletter for staff and students focused on adult school events, professional articles, and student success stories. Here's the March n.o.t.e.s.! Check out our ACS WASC Self-Study Report! Full visit on January 27-30, 2019! Preview the Fall/Spring Schedule of Classes for 2018-19 school year! Enrollment begins August 1st! NEW! ESL for Child Care Professions! Start your career as a Child Care Professional! This optional course provides extended academic support for students who are co-enrolled in one of the many Child Care courses offered at NLMAS. This supplementary course is ideal for ESL students co-enrolled in the child development program. This class is FREE! Job Fair on Oct. 9th! Join SELACO's Job Fair on October 9th, from 9 am to 1 pm on the Norwalk Campus. More than 50 companies will be represented. Bring your resume and dress for success! Career and Technical Training Scholarships! 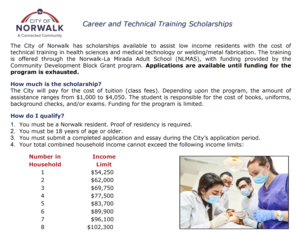 The City of Norwalk has scholarships available to assist low income residents with the cost of technical training in health sciences and medical technology or welding/metal fabrication. The training is offered through the Norwalk-La Mirada Adult School (NLMAS), with funding provided by the Community Development Block Grant program. Applications are available until funding for the program is exhausted. Get ready to enroll in one of the two new introductory classes into the medical field. 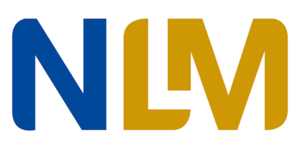 NLMAS will offer "Introduction to Medical Careers" and "Medical Terminology" this summer. Space is limited in these free classes! Sign up now! Complete your HiSET Preparation and Testing at the Norwalk-La Mirada Adult School! Are you ready to take the first step toward expanding your opportunities for college or a better career? Norwalk-La Mirada Adult School can help you on your journey to earning your high school equivalency credential by passing the HiSET ® exam. Receiving this credential may help open doors that have been closed to you previously. HiSET preparation and testing available at NLMAS!